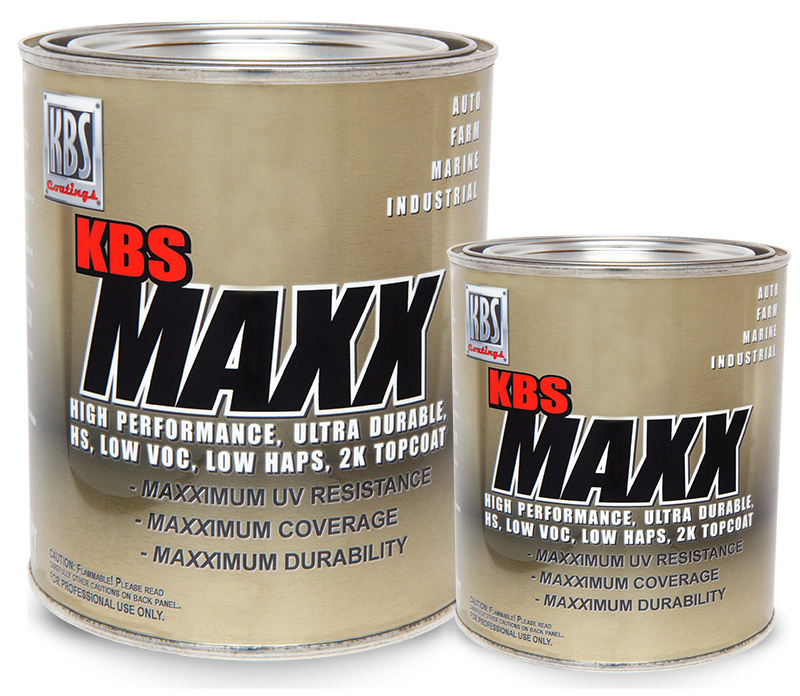 KBS MAXX is a superior performance, two-component, low VOC, low HAPs polyurethane topcoat. 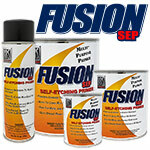 Specifically designed for the automotive, agricultural, fleet refinishing, marine, and heavy industrial equipment markets. 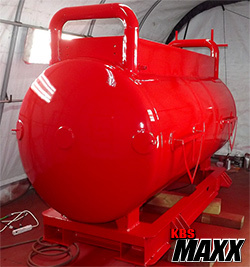 KBS MAXX offers excellent gloss and color retention as well as superior impact resistance, while providing fast drying characteristics. An excellent coating for the OEM marketplace looking to provide an automotive quality look and finish in a single stage, two-component system. Withstands Continuous Temperatures of up to 300-400°F. Theoretical coverage at one mil (25 µm) is 450 sq.ft. per gallon. Material losses during mixing and application will vary and must be taken into consideration. Expect up to 50% less coverage on bare wood, rough or sandblasted surfaces. If you are looking for a coating for bare aluminum wheels KBS MAXX clear will do the job just use some sort of adhesion promoter with it or it may not adhere good to high polished area I had good results with polished gm wheels stripped with clean strip paint stripper and then applying two coats of bulldog adhesion promoter then two coats of KBSMAXX over that. 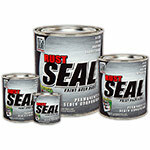 I applied a system of Rust Seal covered by KBS Maxx on a bronze anchor platform stanchion that was peeling old paint. Used 2 coats of each and the end result was a sharp looking part. This had been a real eyesore on my boat. The system went on easily, recoated quickly and looks good so far. Time will tell in the tough saltwater environment but I have total confidence. The one thing I would recommend is to remove any masking after each coat. I waited until the end and one little section of paint peeled off. It's a thick, tough coating when done. I like it for tough applications. Let me start out by stating my background, I went to school when I was in high school for automotive refinishing, after that I spent years refinishing cars with all brands of paint, I later moved on to refin boats, power coating and then running a body shop. So when it comes to paint I have had my share of experience. with this being said I started a large welding table build and needed a paint to hold up to all diff obstacles. I have used the normal choices por15, rust bullet but have found flaws in them. not this time I used this paint and have beat the hell out of it I sprayed it and it flowed out great. I would recommend it any day. 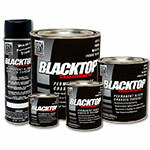 as good a 2 part top coating product as any and better than most when endurance & longevity are primary concerns. Previously used other expensive acrylic products that turned out to not be UV resistant, had an 8:1:1 ratio to mess with, and didn't look that good when finished. Sprayed my f250 frame I had previously sandblasted, Epoxy primered, and acrylic coated . Cleaned it with kbs clean (sprayed then rinsed before dry) got the gun out and made a pot. Sprayed like a dream. Covered like crazy. Black as could be. Looks fanominal. Super glazed shine. Hard as steel it was sprayed on. Q: I require a robust product for my off road vehicles. Is KBS Maxx resistant to scratching and chipping? Also, do you have sample color chips available? A: Yes, KBS MAXX is extremely resistant to scratching and chipping. We do have color chips that we can paint and mail to you. Please give us a call at 877-548-9323 to make that request. Q: Can Maxx be color mixed, if so are there mixing charts avaiable? I am wanting a darker Royal blue. A: Yes, you can mix KBS MAXX colors together before the activator is added. You can add some Pitch Black to Blue Mayhem to get a darker blue. Q: I was wondering once I would apply rust seal on my boat trailer what would be the wait time or period that I would need to apply the maxx topcoat? A: Ideally, apply KBS MAXX once the second or final coat of RustSeal is dry-to-the-touch and does not leave a fingerprint (usually 3-10 hours depending on temperature and humidity).